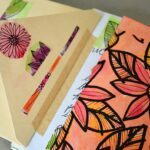 Give your coloring pages new life by getting them out of the book and into your art journal. 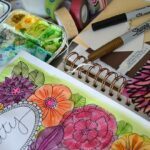 Here, I show you how I use my coloring pages in my art journal. 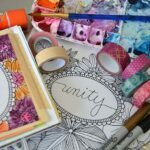 The “Unity” coloring page is one of my own illustrations that I printed on copy paper. 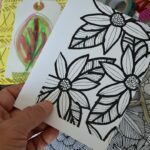 I also like to print my coloring pages on card stock and cut them up. I then use them as journal cards. Here’s a free pdf of the Unity coloring page for you to use. Enjoy! 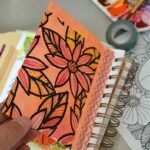 Color your page before you use it in your art journal. 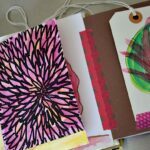 Cut your art journal up and use as journal cards. Here is the “unity” page before I used watercolor paints. 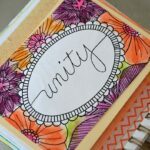 I cut up the page with just the “unity” showing and glued it in my journal. On the left are leftover pieces of the page glued to the outside of an envelope. On the right is a coloring page that was painted and cut into quarters. 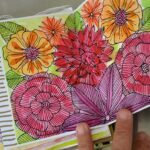 I created a border using a coloring page and journaled in the center of the page. On the left is a quarter of a coloring page. I used a large section (probably half) and glued it into a note card that I had taped in. I loved how this is a surprise when you open it up. 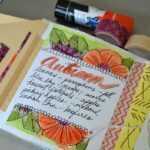 Another view of a coloring page that was cut into quarters and then painted and taped with washi tape.